– If you have any further questions or are unsure of anything, ask your doctor or pharmacist for more information. – This medicine has been prescribed for you only. Do not pass it on to others. It may harm them, even if their signs of disease are the same as yours. – If any of the side effects becomes serious, or if you notice any side effects not listed in this leaflet, tell your doctor or pharmacist. 3- How to take Primperan 10 mg scored tablets ? 4- Possible side effects ? 5- How to store Primperan 10 mg scored tablets ? 6- Contents of the pack and other information ? 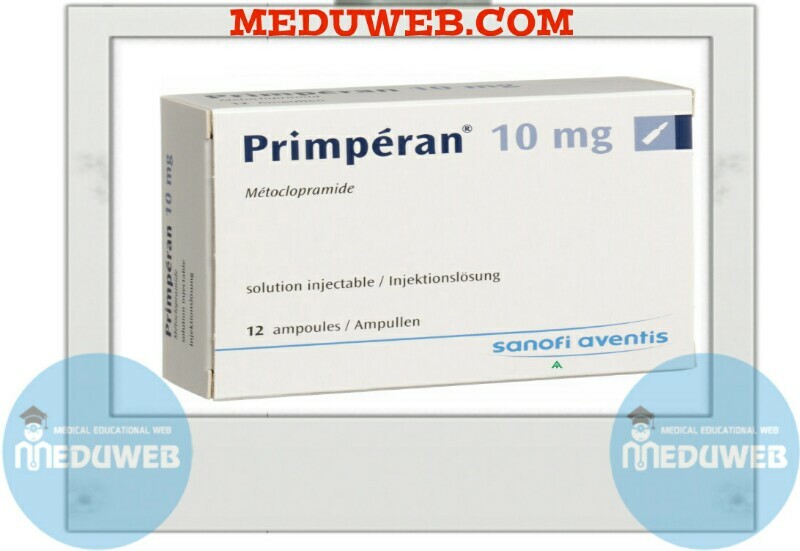 1-What Primperan 10 mg scored Primperan tablets are and what they are used for ? on intestinal motility (spontaneous movements in the intestines). mide or to a hereditary disease of the red blood cells associated with the absence of an enzyme. – Primperan may cause abnormal movements of the head and neck (see “Possible side effects”), particularly in young adults and/or following an overdose. It is therefore essential to comply with the recommended dosage and to allow an interval of at least 6 hours between doses. These reactions generally occur at the beginning of treatment, between 1 and 3 hours after the previous dose. They may appear after a single dose. If these symptoms appear, stop using this medicine and inform your doctor immediately. 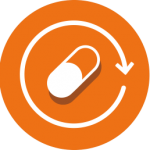 – These effects are generally reversible after stopping treatment, but may require symptomatic treatment. Allow an interval of at least 6 hours between each dose, even if vomiting or partial or total rejection of the dose occurs. Occasionally irreversible abnormal movements predominantly affecting the face and tongue may occur during long-term treatment, especially in elderly subjects. The risk of developing these effects increases with treatment duration and the cumulative dose administered. – Treatment with Primperan should not last more than 3 months. solution) taken regularly and in small amounts. malabsorption syndrome (rare hereditary diseases). – if you have kidney or liver disease. (levodopa, dopamine agonists and selegiline). To avoid possible interactions between medicines, particularly with medicines contarnmg alcohol and alcoholic drinks, always inform your doctor or pharmacist of any other medicines you may be taking. This medicine can cause increased drowsiness when used along With alcohol. It is strongly recommended to avoid consuming alcohol during treatment. not recommended. Ask your doctor or pharmacist for advice before taking any medicine. medicine if you drive or use machines. 3- How to take Primperan 10 mg scored Primperan tablets ? How many Primperan 10 mg scored tablets should be taken for use in adults only? – It is not suitable in other circumstances. – Do not recommend it to anyone else. How Primperan 10 mg scored tablets should be taken? How often Primperan 10 mg scored tablets should be taken? Allow an interval of at least 6 hours between each dose. How long Primperan 10 mg scored tablets should be taken? Treatment with Primperan should not last more than 3 months. Follow you r doctor’s advice. If you take more Primperan 10 mg scored tablets than you should Inform your doctor immediately. seizures as a result of rnetodoprarnide overdose. You must stop treatment and inform a doctor. In case of accidental overdose, consult a doctor immediately. 4-Primperan tablets Possib.le side effects ? – seizures. If these symptoms appear, stop treatment and inform your doctor immediately (see “Special warnings”). neuroleptic malignant syndrome: unexplained fever, or fever associated with other symptoms of malignant syndrome (paleness, disorders of involuntary functions, impaired consciousness, muscle stiffness). If these symptoms appear, stop treatment and inform your doctor immediately (see “Special warnings”). membranes, stop treatment immediately and inform your doctor. hives, angioedema, generalized allergic reaction. 5. How to store Primperan 10 mg scored Primperan tablets ? Do not exceed the expiry date listed on the outer packaging. What Primperan 10 mg scored tablets contain ? anhydrous colloidal silica, magnesium stearate. Under license of sanofi-aventis / France.